Wednesday, August 10, 2016, The next meeting of the Central NJ SQL Server Users Group will be on Wednesday August 10, 2016 at 6pm, located at In-Person @ 101 Wood Avenue South, Suite 900 Iselin, New Jersey, United States (map). Long time SQL Server MVP, Hilary Cotter, will be discussing and showing you how to performance tune your SQL Server! This session will cover how to diagnose, troubleshoot and solve common SQL Server Performance tuning. This session will arm you with tools to do benchmarking, diagnosing, and resolving problems that you will face on most environments. You will leave this talk with an approach to performance tuning which will help you to make your SQL Servers handle greater loads on the same hardware. Hilary Cotter: SQL Server MVP Hilary Cotter is a 20 year IT veteran who has answered over 20,000 questions on the forums. Some of them correctly. He has been a SQL Server MVP for 11 years now. He specializes in HA technologies, especially replication, performance tuning, full-text search, and SQL Server Service Broker. Hilary is also an author, or contributor, on a number of books on SQL Server. 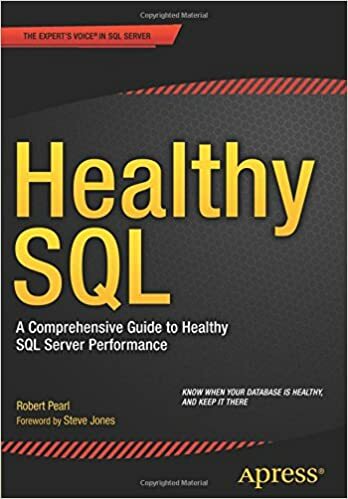 For all things SQL, news, events, jobs, info, and other fun tweets, follow me on twitter @Pearlknows and join the #HealthySQL campaign to keep your SQL Servers healthy!